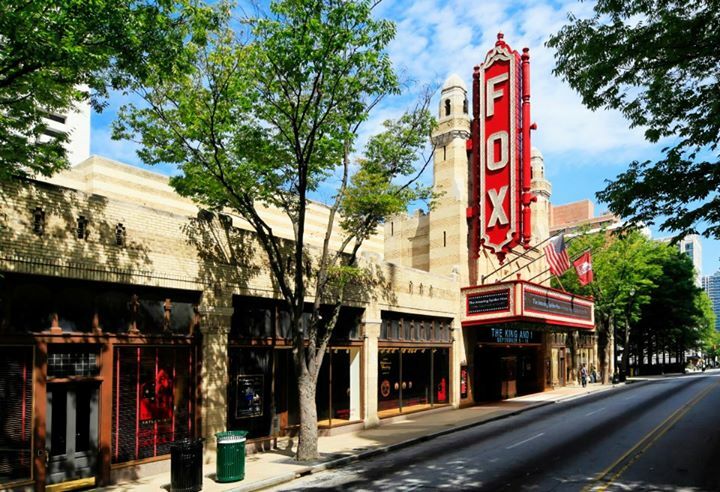 The Fox Theatre has announced the official movie lineup for the 2015 Coca-Cola Summer Film Festival, sponsored by The Coca-Cola Company and Delta Airlines. Go down memory lane with this year’s festival beginning Thursday, June 4 with the fan choice winner, The Goonies. All movies will be shown on The Fox Theatre’s 26 foot high x 56 foot, 8 inch wide big screen, including audience favorites The Princess Bride, Beetlejuice, Frozen sing-along, and more! Audiences will also get to enjoy special screenings of throwback classics for their anniversaries, including Back To The Future‘s 30th Anniversary, The Breakfast Club‘s 30th anniversary, Braveheart‘s 20th anniversary, and The Sound Of Music‘s 50th anniversary (complete with a sing-along!). Special movie tours will be available prior to all the films, allowing guests to experience guided tours through the projection booth, screening room, celebrity dressing rooms, and the iconic Fox Theatre stage while learning about the history of movie palaces and Mr. William Fox’s innovations. Adult Tickets are $8 through May 31st. On June 1, Adult ticket prices will increase to $10 advance, $12 day of show. The Sound of Music (sing-along) is Reserved Seating. Tickets are $15 advance, $20 day of show. Tours must be purchased with a movie ticket, and are not sold separately. Prices are $35 for the movie ticket and tour ticket combined (except for The Sound of Music which is $40) plus any processing fees at point of sale. Atlanta Botanical Garden Concerts In The Garden On Sale Today!